1. How often is CANSA Shavathon Held? 2. What is Shavathon all About? Shavathon started back in 2003 in the Eastern Cape, as a way to show solidarity or support for cancer patients, as losing hair is a common side effect of cancer therapy. Since then the event has gone national. Participants show support by donating a fee to shave or spray their hair. The donation is used by CANSA to provide a care and support service to the public and all people affected by cancer. Sign up your company or on the Shavathon website as a Shavathon Online Corporate Champion or create your own corporate internal project where individual employees or different divisions and branches can sign up as activists. You can also create your own fundraising account and challenge employees to support your project – and match the employees’ contribution. Challenge other corporates to see who will raise the most funds. Donors can view your organisation’s projects and latest posts and make a donation on a secure donation page. Individuals and volunteers can also create their own fundraising page – set up your online fundraising profile; write a short overview of what your aim is and why people should donate towards your project. Invite all your friends, colleagues, employees and family to your fundraising page and ask them to make donations. Keep your fundraising project alive with updates, photos and videos while tracking your progress. There are various prizes available and will be given to the online Champions who raise the most funds. 4. How do the Workplace Shavathons Work? Many workplaces, organisations and educational institutions decide to host their own Shavathons in order to raise awareness and funds for the cancer cause. Hosting a Shavathon is a wonderful team-building experience and many companies adopt CANSA Shavathon as their Corporate Social Investment (CSI) project. This takes place during the week (4th to 8th March) after the shopping centre events (2nd March). Employees take part and often they invite service providers, clients and friends to also participate. The designated staff member pays the commitment fee online, orders the materials from CANSA online, hosts the event and afterwards transfers the funds to CANSA. Many companies match the funds contributed by employees to make this event an even bigger success. 5. How does the Event Work at Shopping Centres? If you cannot shave or spray at a workplace or shopping centre you can pay a bail-out fee. Pay your ‘bail-out fee’ online (a minimum or R50). You may also participate in regional Shavathons that some regions host throughout the year. You would need to contact your nearest CANSA Care Centre to find out when their next event will be held. 7. What’s New for 2019? Some venues will have a special Shavathon selfie board, making your photos even better. 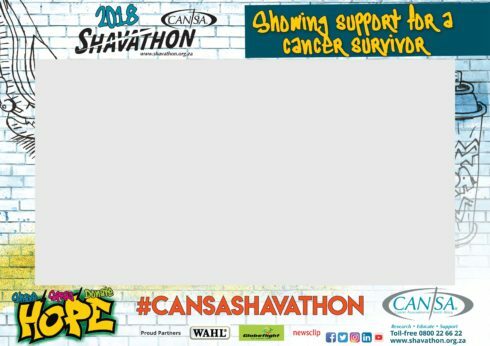 Take a photo with the selfie board and be sure to tag CANSA and include the hashtag #CANSAShavathon when you post on social media. Limited Edition CANSA Colouring Hope Wraps (R50) and CANSA Colouring Books & Crayons (R25) for kids will be available at selected venues. For convenience, we are now supporting SnapScan payments at Shavathon venues. No need for cash when you can just scan the QR code and make your donation. 8. Will the Hair from Shaved Heads at Shavathon be Used to make Wigs? 9. Are the Wahl Clippers and Scissors Sterilised after use? The blades do not touch the skin; however, there are sterilisation materials at all venues. 10. Why does CANSA Shavathon not do Clean-Shaving? We offer a number 1 comb as the shortest shave, in order to reduce the risk of nicks or cuts. CANSA advocates being SunSmart, so we don’t want you to go bald all the way and place yourself at risk from sun damage. We advise on always wearing a CANSA approved sunscreen or wearing a wide brimmed hat to protect you from the sun. There is a selection of number 2 – 4 combs for shaving or you can spray or stencil your hair a multitude of colours if you are not willing or unable to shave your head with a number 1 comb. 11. Are the Colour Sprays used Safe / non-Hazardous / will not Stain? The sprays are made from vegetable dye and won’t stain and can be washed out. However, use the cape / towelling to protect clothing e.g. white t-shirts. 12. Where does the Money go to? 13. R50 is too Expensive. Why not make it Cheaper for Families? The price has remained R50 for the last 15 CANSA Shavathon events in a row and is considered a donation. Children under 12 donate only R25. 14. Who are the Partners for CANSA Shavathon 2019? 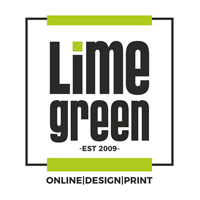 Dedicated suppliers are all national shopping centres, Wahl Clipper, Globeflight, Newsclip Media Monitoring and Limegreen Online Design Print. There are a number of other media partners that assist with free coverage or exposure on a regional basis – these are listed on the website footer, and all participating shopping centres are also listed. 15. What Colours are you Offering for the Colour Spray? Colours this year are pink, purple, blue, green, silver, yellow, red, orange, black and white, so you can choose one or a combination of colours. Some people even shave and then spray to double their support! 16. Which Social Media Platforms is Shavathon part of? Shavathon is making use of most social networking sites, click the ‘Like’ button on our Facebook page, follow us on Twitter @CANSA / @Shavathon as well as on Instagram. For more info see www.shavathon.org.za, email info@cansa.org.za, call 0800 22 66 22 or contact your local CANSA Care Centre.